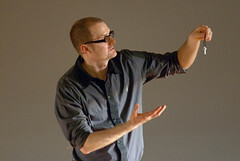 I`ve just finished watching a Rob Bell Nooma, called “Shells”. 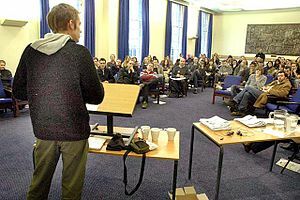 A Nooma is a short (10-12 mins) dvd centring on a sermon by Pastor Rob Bell (photo). Now I need to make it clear from the outset that Rob Bell is considered a somewhat controversial character because of some of his views, especially on hell. However I believe he is a deep thinker who is managing to think `beyond the box`, and I certainly like his Nooma series. I share this because I recognise that I might be biased. Anyway this particular DVD is about how we use our time and how we often see busyness as the end goal; the busier we are the more succesful we must be, it seems. Rob puts over the view that often we are busy picking up shells on the beach and then when we find something we really want (in the DVD it’s a starfish) we can`t have it because our hands are full of shells and there’s no room for anything else; and so we miss out ! He projects the theory that you can`t say `NO` until you`ve already said `YES` to something. In other words once you know what you want and where you`re going and said `YES` to that journey then you`ll simply pick up a lot of rubbish because its hard to say no. 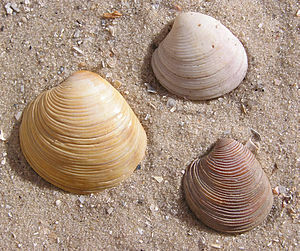 You end up with a handful of broken and useless shells rather than that which really mattered to you. Being busy is a drug that many people are addicted to, and I would probably want to include myself in that. Just this afternoon, on my day off, I felt quite lost and guilty for sitting `doing nothing` so I got up and began sorting the garage out instead. There is a real danger to being busy. Rob Bell speaks of the need to get into the rhythms of life and taking joy in them; the moments of work, the moments of relaxation, the moments of peace, the moments of sleep and so on. I sometimes feel as though the Church has robbed me of that rhythm of life and has simply piled more and more busyness into my life. To a certain extent that’s true as more and more legislation comes across my desk, as more and more people demand a chunk of my time, and as more and more time is expounded on simply keeping the whole structure alive. However, I also have to take some of the blame as the final decision is mine. I can say `NO` to things; yes, I will have to live with the unpopularity it may bring or the guilt complex, but at the end of the day its my decision. Somewhere in the Manse I have a picture which reminds me of the following statement………………………. Its been a while since I`ve been on here and I seem to have got up to loads since 8th Feb (last dated entry). My apologies to those who faithfully check this regularly, but there are times when life just takes over. Life is permanently busy, probably more so now than ever before and yet I still wouldn`t want to swap it for anything else. Yes there are days when the latest legislation passes my desk and I want to scream “no more” for I`m expected to be an expert on Safeguarding issues, Health and Safety, Methodist rules and regulations, Food Hygiene rules, Building regulations and more. Then there is the constantly changing nature of the Methodist Church as we seek to reshape our denomination for the future to make us a mission shaped movement. There are days when it just feels overwhelming and yet there are far more blessings than problems; the blessings of knowing I have helped someone, the little child who came up to me at school yesterday to thank me for a prayer I`d given him, the church who expressed gratitude for my attendance at one of their events, the lovely welcoming smile I got when I went to visit an elderly lady, the enthusiasm of our evangelism team at suggestions made, the joy of being able to tease my brother for reaching the age of 60 and the joy of getting a request from my daughter to meet up for lunch tomorrow. These are the times when I give thanks to God for the privileges he has bestowed on me. There are many days when I sing this in my head and give thanks to God for all he has done for me. As I write this there is a lot of publicity landing on my desk re. the Olympic games later in this year and my mind turns to that scene in the Olympic games of 1992. If you remember it involved a British athlete running in the semi-final of the 400 metre race. 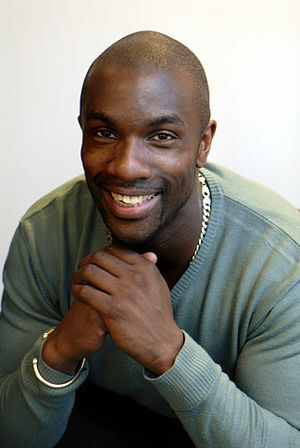 Derek Redmond got off to a great start and was doing well when he suddenly fell with what was later discovered to be a torn hamstring. I remember the scene well for as he struggled to his feet other runners went past him, but he kept on hobbling and hopping forward with real pain etched on his face. As the whole world watched we saw a man burst through the security guards and ran onto the track alongside Derek Redmond; it was his father who tried to persuade his son to give up, but on hearing of his sons determination to finish what he had started he gripped his son around the shoulders and the two of them limped painfully towards the finish. Those who watched this on their televisions all around the world would have done what I did; joined with the stadium spectators and stood applauding and cheering at the determination of a brave athlete and the support of his father. One of the bravest scenes I`ve ever seen in sport. If like me you saw this then you were surely moved to tears and even as I write now about it I can feel the emotion coming back. Check it out on youtube if you cant remember it. What has this to say to us ? It speaks of determination to complete that which we have begun. Its very easy within the Christian life to declare our faith and then slow up or stop because the going has got tough; because of decisions we don`t like or because of the people around us. When life is hard we need to keep journeying forward and recognising that we are not on our own. The letter to the Hebrews chapter 11 speaks of the invisible crowd of witnesses urging us on. We are encouraged by Heaven itself to keep going forward in our life with determination and perseverance. We have a mighty, powerful Father who will not leave us alone and who will not encourage us to give up, but instead journeys with us. In that wonderful poem, “Footsteps” we have the picture of the footprints in the sand and of God carrying us. It focuses on the difficult times of life but in a similar poem (using the same imagery of footprints in the sand) it speaks of God dancing with us and I believe it is a mixture of both. We have a loving Christian family around us, and we have a loving Father in Heaven. They all dance with us in the good times and support us in the difficult times and in both help us to focus on finishing the race. If you`re tempted to give up today, focus your eyes on Jesus, ask for help and keep going.